Cherie on the cover of "Goro". 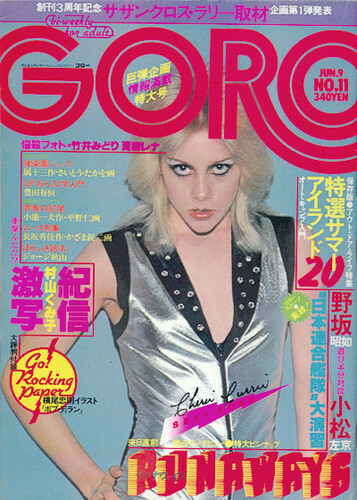 Cherie on the cover of a Japanese Magazine called "Goro" circa 1977.. Wallpaper and background images in the the runaways club tagged: the runaways cherie currie goro 1977 tumblr photo. This the runaways photo contains anime, komik, manga, and kartun.